You&Me by Cocoon, a brand new adults-only resort for honeymooners and couples, is set to open on Februaru 2019. The second resort owned and managed by Cocoon Investments, You&Me by Cocoon is located in the secluded northern atoll of Raa, and is accessible by a 45-minute scenic seaplane flight from the main Velana International Airport. Alternatively, guests can take a domestic flight to the Ifuru domestic airport in Raa atoll, followed by a 20-minute speedboat ride to the resort. Positioned as an achingly elegant, rustic-chic resort that exclusively caters to guests aged 16 and above, You&Me by Cocoon has 111 villas — of which 97 are overwater — and six superb dining outlets scattered around the island, each highlighting the resort’s unique views, flavours and features. The resort will feature five restaurants, offering Japanese fine dining and authentic Italian dishes in an elegant and rustic environment. Guests can take advantage of the ‘dine around’ concept, where guests on Half Board Plus, Full Board Plus, and All-inclusive packages can have lunch and dinner at any à la carte restaurant. They can also enjoy free-flow French champagne! “We’ve created a resort with romance in mind. You’re far away from everything else, surrounded by nature, on an island designed to foster intimate connections,” Alessandro ‘Alex’ Azzola, Managing Director of Cocoon Investments, was quoted in a statement, as saying. 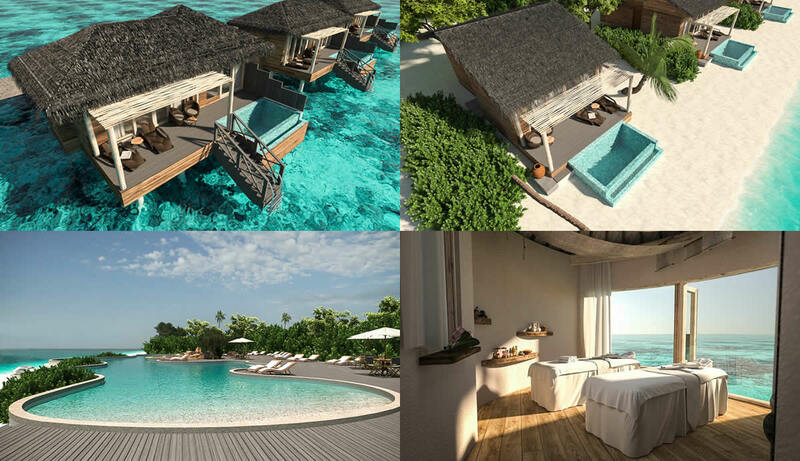 Cocoon Investments opened its first resort, Cocoon Maldives, in March 2017. Cocoon Maldives, located in Ookolhufinolhu Island in the northern Lhaviyani atoll, blends the best of Italian design with the Maldives’ stunning natural beauty. The five-star resort houses 150 villas that are exclusively designed by Lago, one of Italy’s finest design firms.